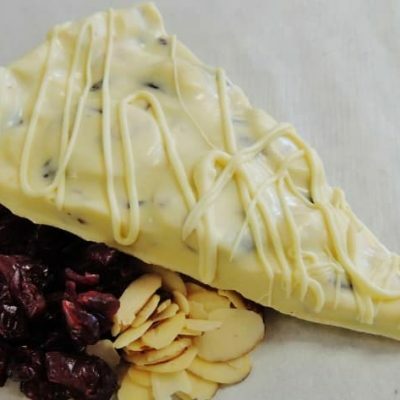 Two of our most popular gourmet chocolate specialties combine into one very special gift. Drumstick slice (9 oz.) in rich milk or dark chocolate is topped with cashews, pecans, walnuts, caramel, pretzels and a splash of sea salt. Simply amazing! 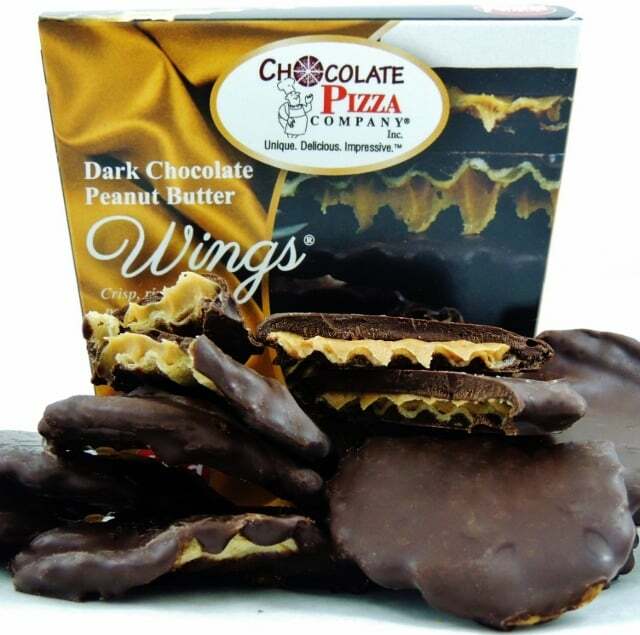 Our famous Peanut Butter Wings (8 oz.) 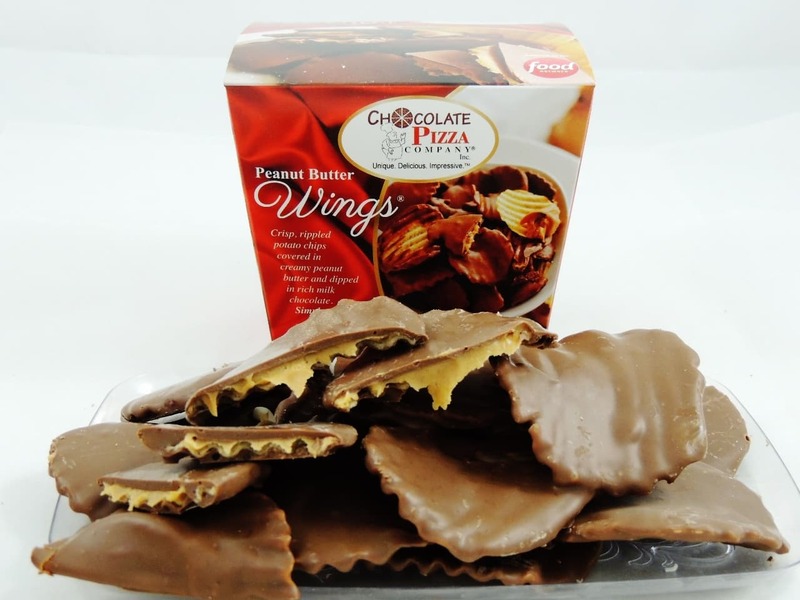 are crisp, rippled potato chips covered in creamy peanut butter and drenched in milk or dark chocolate. A salty-sweet masterpiece. Presented with colorful bow, this is the perfect choice for any occasion. 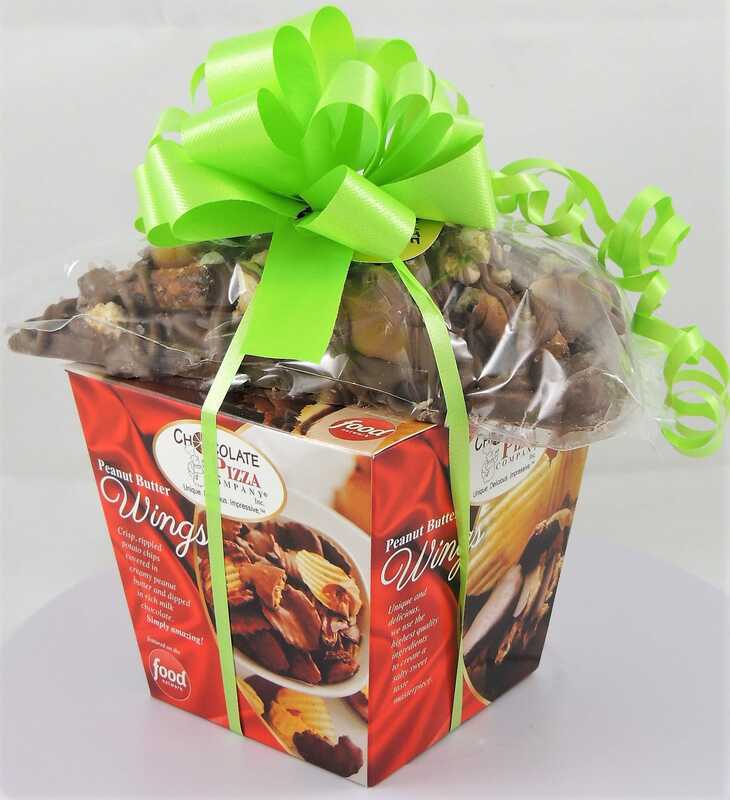 Slice & Wings Combo – two of our most popular gourmet chocolate specialties combine into one very special gift. Drumstick slice (9 oz.) in rich milk or dark chocolate is topped with cashews, pecans, walnuts, caramel, pretzels and a splash of sea salt. Simply amazing! Our famous Peanut Butter Wings are crisp, rippled potato chips covered in creamy peanut butter and drenched in milk or dark chocolate. A salty-sweet masterpiece. Presented with colorful bow, this is the perfect choice for any occasion. 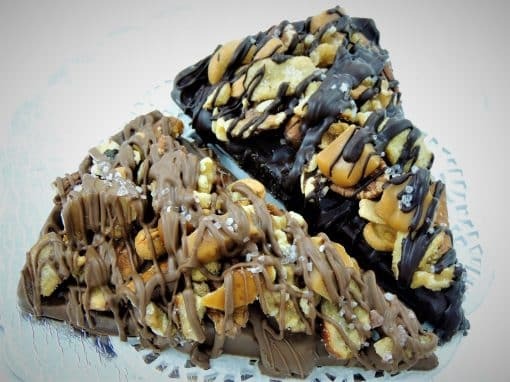 Featured on Food Network, Food Network Canada, NBC’s Today Show, ABC News and other major media, Chocolate Pizza Company has been America’s gold standard of Chocolate Pizza for nearly 3 decades. Our talented team of chocolatiers loves creating this unique confection. They start with blending the highest quality Swiss-style chocolate with homemade English toffee. 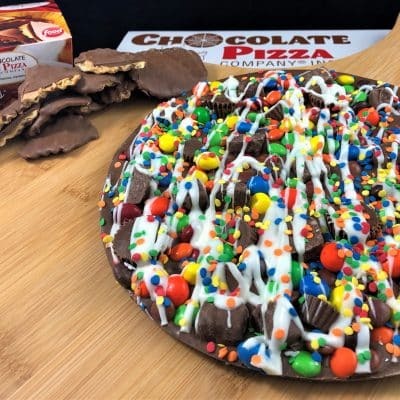 Finally, they add a wide variety of toppings or hand-decorate each one so every Chocolate Pizza is unique. We start by carefully tempering the chocolate. This process manipulates the temperature of melted chocolate to give it strength, shine and a velvety, melt-in-your-mouth feel. Certainly, all gourmet chocolate is tempered. This distinguishes it from ordinary compound chocolate found in most mass produced chocolate candy. The difference in quality is one you taste with every bite. But for Chocolate Pizzas with a message for birthdays, holidays, anniversaries or special occasions, we script the words or design by hand using white chocolate. It takes a lot of skill to do that but it also means each Chocolate Pizza is absolutely unique. Each Chocolate Pizza is presented in an actual pizza box. The box offers a viewing wedge on the top that gives a hint of the special treat locked inside. 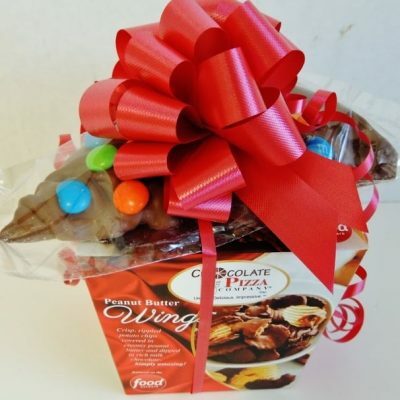 The specially designed box holds the Chocolate Pizza firmly from the corners while letting it ride on a cushion of foam. This design allows us to ship our Chocolate Pizzas nationwide by virtually eliminating breakage in transit. Once your Chocolate Pizza arrives, store it out of direct sunlight in a cool, room temperature location.